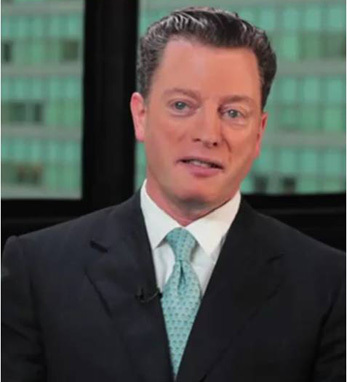 John Michael Farrell is a consulting partner in KPMG’s New York office, with over 20 years of risk management and risk control experience. Before joining KPMG, John served as the director of internal audit for Mineral Technologies, Inc.
A graduate of the State University of New York at Albany, John received his bachelor’s of science degree in accounting and an MBA in finance from Long Island University. He is also a certified public accountant in New York State and belongs to the New York State Society of CPAs. John is a third-generation Irish American with roots in Monaghan on his father’s side. His grandmother was one of eleven children born at the turn of the century in New York. John’s great-grandparents came to America from Ireland in the 1880s.